Walking? Check. Talking? Check. Reading? Check. New parents carefully track their kids’ milestones, keeping an eye on recommended timelines and breathing a quiet sigh of relief when things appear to be going as planned. When it comes to their kids (or themselves), ticking off a goal or working their way through a list assures them that they’re doing a good job. Somehow, community service has failed to make the traditional checklist, and without that reminder, it’s easy to forget to encourage volunteering. 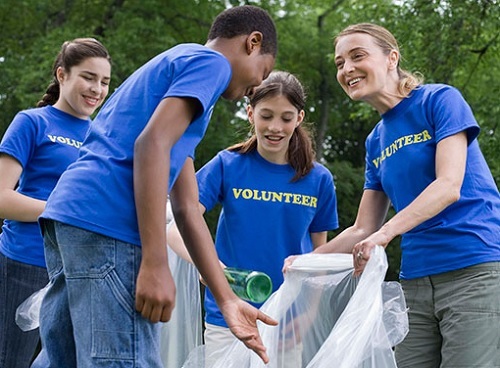 If your kids aren’t already involved in community service, after reading below you’ll want to encourage volunteering in your family as there are just so many important reasons to volunteer. a) Empathy: no matter your child’s age, working with the less fortunate will broaden their concept of poverty and privilege. When you encourage volunteering, you take the first step to creating a more caring and socially active next generation. b) Confidence: interacting with strangers (under parental supervision at first) and in strange places will show your child how much they are capable of accomplishing. With practice, shyness will fade away and your child will be able to feel comfortable in any environment. c) Leadership: many volunteer organizations are looking for people to take charge in different ways. Whether it’s deciding where to put up flyers at age 8 or planning a fundraiser at age 18, volunteering gives kids the opportunity to become leaders. Even if your child is still in elementary school and the days of summer jobs seem a lifetime away, it’s never too early to start getting ready. As we can all remember, getting hired as a teenager without previous experience or recommendations (or connections) is next to impossible. Luckily, volunteering positions are happy to take on kids of almost any age and skill level. Not only does “junior event planner” or “volunteer cashier” sound great on a resume, but time spent working with money and people can only help your teen after they finally land the job. We know, we know- college applications are even further in the future than summer jobs. Regardless, applying for post-secondary education is a big deal, and when it eventually comes time to write those college essays, your kid will be grateful for all their community service. Colleges are only getting more selective as years go by, and in a close decision between two similar applicants, the teen with the most leadership and volunteer experience will have an edge. If you encourage volunteering as early as possible, your kids will thank you when senior year comes around. A huge number of scholarships are awarded on the basis of community service, so the “unpaid” hours your child puts in now could end up helping pay for their education. Encourage your child to start looking for scholarships as soon as they hit high school- not all awards are limited to Grade 12 students. The most obvious reason to encourage volunteering? The welfare of your community. It is, after all, the place where your family is growing up. Where would we be without soup kitchens, women’s refuges, or animal shelters? Give back to the city or town where you’ve spent so many happy days, and get your kids volunteering. 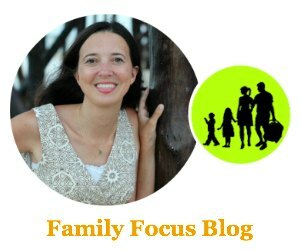 I’m going to list a few family volunteer projects here just to give you some ideas of what may be needed in your community. If you don’t find existing projects, you may even be inspired to start your own. Assist At Events For The Blind. Teach Immigrants & Refugees English. Special Olympics Helpers (help with handling field results and medals). Volunteer Reading Day (read to elderly or to struggling readers). Big Brother/ Big Sister Program. There are many more family volunteer projects. You can start looking into community service opportunities at All For Good. Volunteering with your children is one of many fun activities to do with kids, especially over the summer when they have plenty of time. Do you encourage volunteering? What are your favorite reasons to volunteer? Comment below!